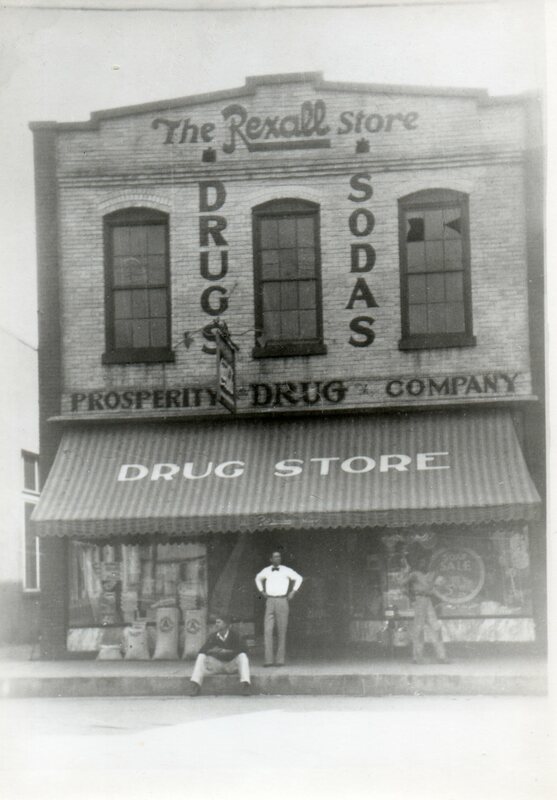 Prosperity Drug Company was founded in 1895, and for over 115 years has provided the Prosperity community with accessible, high quality healthcare. Originally, physicians and pharmacists were housed in the building together, as the pharmacy was in the front and a doctor’s office in the back. Dr. J. Ira Bedenbaugh was an early physician on site. C.K. 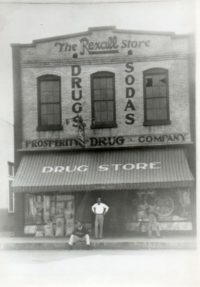 Wheeler served as one of the first pharmacists here, and he was followed by his son Cyril K. Wheeler Jr., who operated the store first as a partner with his father and later as sole proprietor. In 1978, Dr. Wheeler retired and sold Prosperity Drug to Mr. Arlen W. Stuck. Mr. Stuck ran the business until 2006, at which time John W. Pugh bought the assets of the pharmacy. A complete remodeling of the inside of the building was completed in 2006. 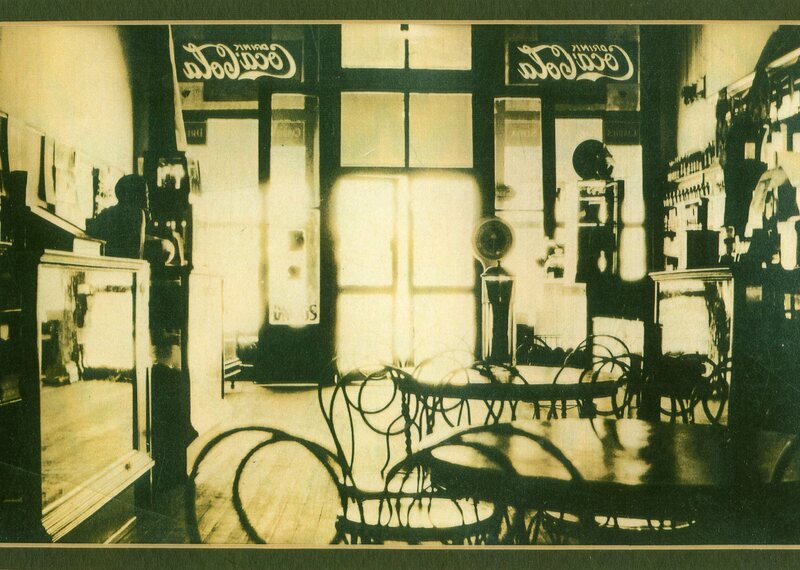 The soda fountain and wooden shelving were maintained in the front of the store to keep a nostalgic feel, while the pharmacy was outfitted with the latest technology. Because of the overwhelming support of our community, we needed to enlarge our pharmacy department in the summer of 2010. Today, the pharmacists and staff of Prosperity Drug work diligently to provide the best pharmaceutical care for our patients. So bring your prescription to Prosperity Drug…you’ll be glad you did!